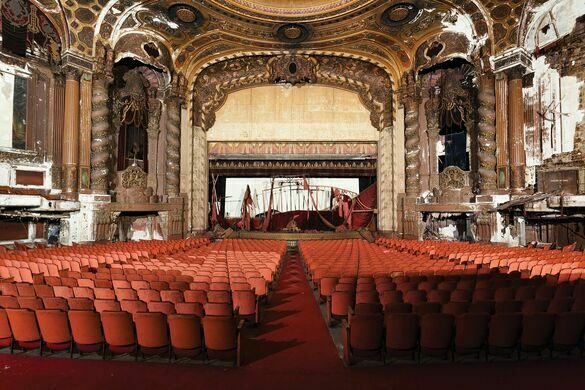 Explore the fall of the American movie theater with photographer Matt Lambros. Join photographer Matt Lambros to explore the decline of America's great movie theaters and his work documenting their remains with his latest book, After the Final Curtain: The Fall of the American Movie Theater. There's nothing remarkable about most movie theaters today, but that wasn’t always the case. Before the birth of the multiplex, going to the movies was an event akin to attending a Broadway show. 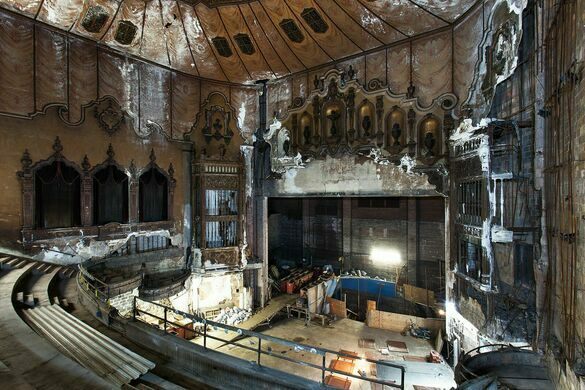 Eventually, the nickelodeons, vaudeville and opera houses of the early 20th century merged to form the dramatic, now virtually extinct movie palace. In the early years, most movie palaces gave films second billing, showing vaudeville performances as the main act. As motion pictures became more popular, theaters began to open in towns across the country. Apart from being a center of entertainment and social life, theaters were the great equalizer for the lower, middle, and upper classes; as in Shakespeare’s Globe theater, varying ticket prices put seeing a movie within reach for all social classes, from the very rich to the very poor. With the emergence of the multiplex theater, management companies found it more and more difficult to fill the seats, leaving movie palaces with largely uncertain futures. Some were demolished, some were renovated for other uses, and some remain derelict to this day. After the Final Curtain: The Fall of the American Movie Theater will shed some light on what remains after the last ticket was sold. 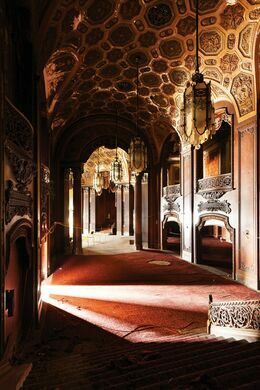 Matt Lambros is an architectural photographer who began photographing abandoned buildings over 10 years ago. 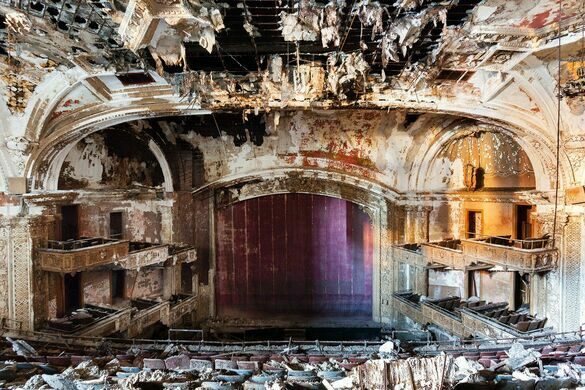 A graduate of Boston University's digital imaging and photojournalism programs, Lambros has since been documenting the decay of America's abandoned theaters in the hope of shedding light on these forgotten buildings and the efforts to repurpose them. Part of raising awareness of these treasures is his involvement with various organizations that work to restore and reopen theaters in the United States. Lambros has donated time and photographs to support such organizations as the Friends of the Historic Variety Theatre, derelict since the late 1980s. Cocktails available for purchase; please bring I.D.! Advance Tickets Highly Recommended. All Sales Final. No Refunds or Exchanges.